Weapon balance and game systems also updated. 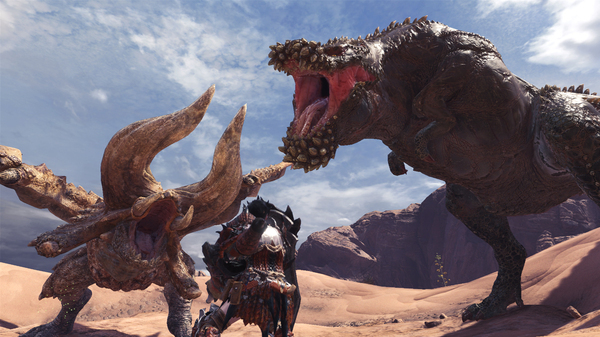 Capcom has released the version 2.00 update for the PlayStation 4 version of Monster Hunter: World and 2.0.0.0 update for the Xbox One version, which includes the new monster Deviljho. The update also includes various adjustments to weapon balance and game systems, as detailed below. Zero Sum Discharge — Level 4 Earplugs effect during use. It is now possible to chain the beginning of Sword: Jumping Element Discharge into Zero Sum Discharge. Zero Sum Discharge Finisher — Damaged increased. Mounted Discharge Finisher — No longer causes sharpness loss.